I met these two young chaps outside of Larry vs Harry's shop before christmas. 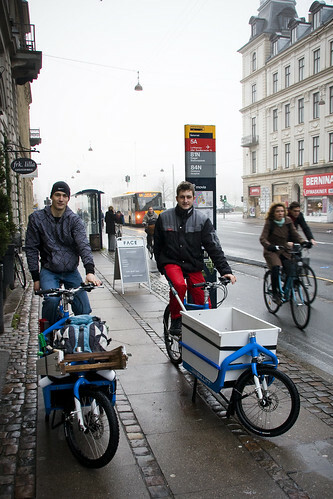 They have invested in two Bullitt cargo bikes and started a fine entrepreneurial outfit. They call themselves Svajer Duo'en. The Svajer Duo. 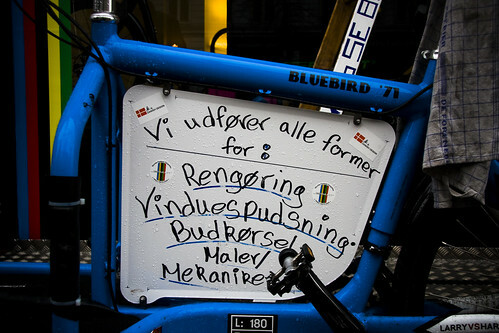 Completely in the spirit of the old 'svajere', which is the word for the original Copenhagen bike messengers in the first half of the 20th century. 'Svajere' means 'swayers' and the name came from the swaying motion of the big front loaded cargo bikes when you are really pedalling. 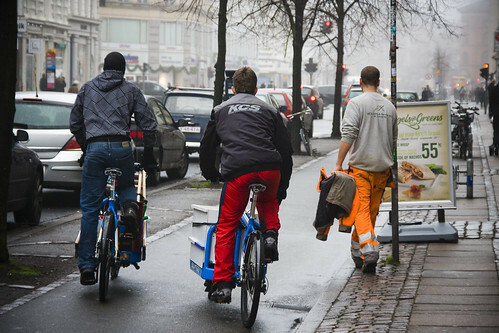 These modern 'svajere' chaps cycle about Copenhagen performing all manner of jobs, with a focus on washing windows. "We do all forms of: Cleaning, Window Washing, Delivery, Painting, Mechanical Repairs." This is what we need more of. Energetic, bicycle-riding young men who just take to the streets with greased elbows. They remind me of the hard working delivery men in New York, cycling around with deliveries be it goods or food/groceries. No white middle-class bicycle fetishism, just bicycling working-class heroes for the new millenium. 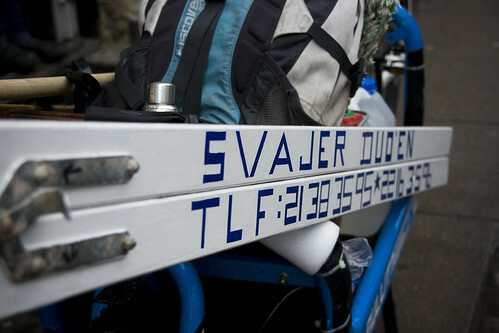 If you're in Copenhagen and need anything the Svajer Duo can help you with, the telephone numbers are on the ladder in the second photo.